Telling stories… Ideally Rod would be right. Sadly, some stories can’t be told with a single photo. Photograph, or more accurately, document the tearing down of one home and the construction of a brand new, custom one. The solution is multifaceted. 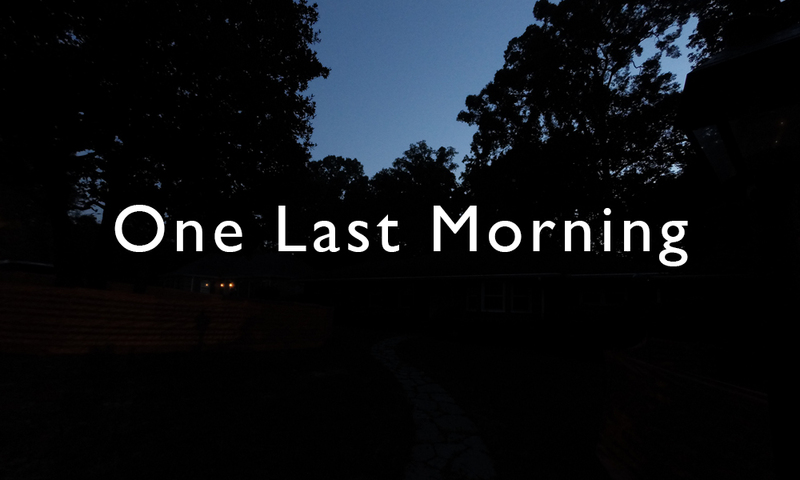 This post focuses on the last morning of the original home. Future ones will show the process of bringing the new one out of the ground, the actual construction, and of course once it’s finished, the portrait of the home and its interiors as well. For this part of the project time lapse is the solution. I arrived at the location at 4:30 on that final day to set a GoPro Hero 3+ Black in its first position looking down the walk toward the front door. After sunrise, the camera moves to the back of the home to record the rising sunlight play across it. The last placement documents the excavator’s work reducing the structure to rubble in less than forty-five minutes. This eighty-one second time lapse video created in Adobe Premiere Pro CC shows the story of that last morning. Storytelling photographically has evolved dramatically since W. Eugene Smith defined the photo essay with Country Doctor in Life magazine sixty-six years ago. Now most DSLR cameras make high resolution still images, HD video and time lapse too. GoPros as well can capture 12 mega pixel stills, 4K video or time lapse. They are inexpensive, a few pennies less that four hundred dollars. The tools have become more versatile and arguably, more accessible than in Smith’s day. The skill with which they are used is, of course, up to the photographer behind the lens.